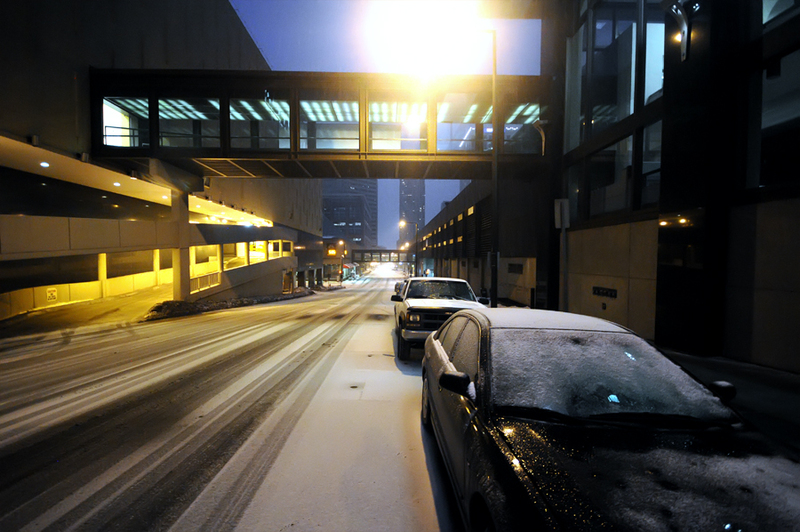 Saturday brought a blanket of snow and ice across Minnesota and as this photo taken in downtown St. Paul shows, the aftermath of the storm left the streets appearing rather vacant. We're getting it here in Utah, too. Dumpage.